Ignore the fact that the PS4 is imminent, this is still a blinding good console and one that will serve you for years to come with second-hand games and even new releases. Without doubt, if you don't have a PS3, this is the time to buy, but do consider the 12GB machine as a way to save a more money. The PS3 is dead, long live the PS4. Except the PS3 is so far from dead it's almost ridiculous. For one thing, there is a persistent rumour that when the PS4 launches, it will not be backwards compatible with PS3 games. That's not a hardship for most, as almost everyone who will want a PS4 is quite likely to already own a PS3. But what if you don't? Well, as we've found out, there's never been a better time to get a PS3 than right now. Best games console: PlayStation, Xbox or Nintendo? That's because as the console enters the last phase of its life, it also gets a new lump of hardware that, while technically "the same" as the old hardware, comes in a new box and offers the lowest priced PlayStation 3 yet. So, is it worth buying when we're less than a year away from the new console? It's in the construction that most things have changed on the new PS3. Gone, for example, is the slot-loading Blu-ray tray. This has now been replaced by a top-loading system that has a physical button which opens the tray with a sliding, dampened mechanism. We aren't entirely sold on it, truth be told, but it's fair to guess that switching from a slot loader has shaved a decent amount off the price. To us, it makes the whole thing feel cheaper, but as it's had a meaningful impact on the price, we have to admit that's fair enough. Mostly, the rest of the console hasn't changed much since the first Slim was launched. You still get two USB sockets on the front, which you'll mostly use for recharging the controller, and there are two buttons, one for power and one for opening the disc tray. At the back, there's the Sony AV connector, which you'd use for SD video, along with Ethernet, HDMI, optical audio and the figure of eight power connection. That power connection is significant, because unlike the Xbox 360, the PS3 has its electrical transformer built in. That means there's no massive, ungainly power brick to cart around. Just grab the PS3 and controller, and you can take it to any TV you want with minimal fuss. The new slim is super-light too. What do you want us to say? The PS3 has always been a brilliant games console. Of course, the battle between it and the Xbox 360 is a sideshow of distractions, because both are brilliant and both worth every penny of their asking price. In real terms, of course, the gaming hasn't got better on the PS3. The hardware isn't faster here, and there PS2 emulation has been missing for ages now, so that's not a new issue to get het-up about. We love the PlayStation Network, and the store that comes along with it. There's everything here you need to keep you entertained for ages. Games can be purchased for online delivery a little quicker than they can on the XBox, and it's actually a real boon to be able to grab a game on release day spontaneously. Unfortunately, spontaneity comes at a price, and that price is the recommended retail price. Our example, Aliens: Colonial Marines, is about £35 on Amazon in disc-form and is £49 via PSN for normal people, and £39 for PlayStation Plus subscribers. That's quite a hefty premium, but being able to get a game when you have a craving is a clever idea. Older games, like Bioshock 2, actually compare quite well with the price on say, Steam, but it's still cheaper to buy a disc on Amazon, which makes absolutely no sense to us at all. It's the very definition of illogical. When you buy the new slim PS3, you have a choice to make. Either you pay a little more, and get a 500GB hard drive, or you get the cheaper console with a 12GB SSD. At first glance, it seems quite obvious that you should probably avoid the 12GB version, after all, there are enough games that need some instal space to mean you'll run out quite quickly. In fact, the truth is a little more complicated. The biggest mandatory instal, we're told, is about 8GB - for Rage - so that's quite near to the -10GB you'll have access to with the PS3 12GB model, the missing space is consumed by the files needed to make the console work. So it seems logical that you might be concerned about space. In reality, there are two options. First, avoid the PlayStation Store for full-game downloads. The second is to manage what you have installed a bit more carefully but the best option, a third, is to simply install a third-party hard drive into your SSD-equipped PS3. This won't suit everyone, but the sort of people likely to run out of space will no doubt be able to handle such a task. Sony even sells a kit for about £65 that will add a 250GB hard drive, and comes with the mounting bracket you need to do it. But you can also get a 500GB drive for about £40 anyway, get hold of the bracket elsewhere - Scan Computers sell it for a touch over £8 - and you've got a PS3 with loads of space for about £203, a small saving from the £230 of the 500GB machine. There was much fuss about the 12GB machine when it was announced, but for a lot of people, it actually makes a load of sense. It's a great way to get a cheap PS3, and if you have an old laptop drive knocking around, even if it's only 100GB or so, then you'll get a huge upgrade for the cost of a mounting bracket. It's also worth remembering that there are loads of things you can do with the PS3 that don't require any space at all. 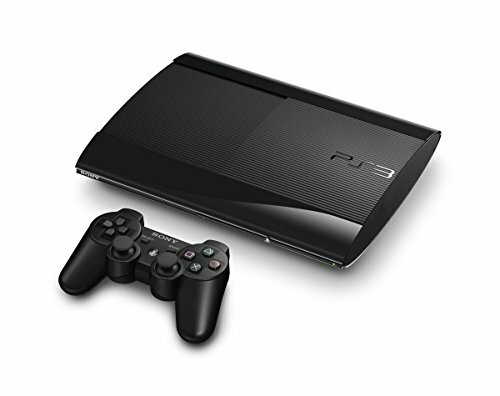 Although the PS3 is a games console, it has always been a games console and everyone knows how good it is at that. On the other hand, the console's media playing and streaming abilities have grown and grown since it first went on sale. For example, we now live in a world where Netflix and Lovefilm Instant are viable alternatives to renting a movie from a shop. Both of these services work on the PS3, and it has to be said they're mind-blowingly good. Netflix, for example, has just about the best picture quality we've ever seen from a streaming service, along with deeply impressive Dolby Digital 5.1 sound. We've been watching House of Cards on the PS3 and the quality is just breathtaking. You're basically getting video that looks as good as an HD broadcast, and it's for a £6 a month subscription. It's honestly a revolution in TV, and the PS3 helps it along its way. We've used the Netflix app on the Xbox too and, as good as it is, we think the PS3 version might have the edge here. But it's great to have so much choice, and let's be honest, most people will have both consoles anyway, we are gamers after all! What the PS3 also does brilliantly is access any media you might have on DLNA servers on your network. That means NAS drives with Twonky, PCs with Windows Media Player and anything else that does DLNA, like Pocket-lint favourite Plex. We tested with both Windows Media Player and Plex, and the results were great. Windows has a very limited amount of codec support in Media Player though, so don't expect to be able to move those MKV files about with it. But it works well enough, and if you have home videos on your computer it will most likely work perfectly. Use Plex though, or Twonky, and things will take a turn for the awesome very quickly. Plex allows a very organised system of presenting any TV shows or Movies you might have on your computer. It's a full database that connects online to get DVD and Blu-ray cover artwork, as well as programme information and images for TV shows. Its main skill, though, is presenting shows in a very organised way, making it easy to find what you're looking for. Even better, along with all the above services, there are also TV shows to buy via the PlayStation Store, or you can opt to watch free catch-up TV shows from the BBC, ITV and C4. There's no Demand 5 in there at the moment, but that could change sometime soon. If you're in the mood for buying, there are movies - all of which seem fairly low-rent and undesirable - and TV shows. TV seems to have a lot on offer, like Homeland and other recent shows. Prices are about what we'd expect and there's usually SD and HD versions to choose from. The PS3 does have some oddities, for TrueHD and DTS HD MA it likes to send those audio signals to your AV receiver as multichannel PCM instead of as a bitstream. The net result of this is simple, the Dolby or DTS light on your AVR won't light up, but the audio will sound identical. As you'd expect, both gaming and movies take place in surround sound, and are mind-blowingly good. We should also point out that we think the new Blu-ray tray might make some difference to the noise from the console. Having said that, it's not anywhere near as bad as you might expect. Even so, it's worth putting the PS3 as far away from your ears as you can manage. We popped ours in the same cupboard that we keep the deafening Xbox. Blu-ray video is still solid. The PS3 has been overtaken in picture quality if you ask us, but at Blu-ray levels it's so hard to tell the difference that it will give most viewers, on most TVs, no cause for concern at all. We're not sure if we love it, but 3D gaming is something and it's an extra feather in the cap of the PS3. If you're a 3D fan, then games do have an added dimension, but it comes at the cost of framerate and, on some TVs, brightness. We're not fans, but there are oodles of PS3 games that support 3D, so if you are, this is the console for you. As we write this Sony is gearing up to launch the PS4. That console will be out by the end of the year, we think. Does that mean you shouldn't buy a PS3 if you haven't already got one? Absolutely not, if you don't have one, you're missing out on a lot of fun, and that fun won't stop when the PS4 rolls along. For now, this is just about the best media device for the money. It's not perfect, but for video, music and streaming from services such as Netflix, it's utterly brilliant. Add to that an amazing Blu-ray player and games console and you have what we would argue is bargain of the century. Getting the 12GB model also puts the price at about £150, which mentally speaking is a more friendly price than the £230 of the 500GB model. Which one you get should be defined by what you do. If you download movies, TV shows and games, then go for the 500GB model, it's less hassle than fitting the drive yourself, and only a little more expensive than the DIY option. If you're not downloading, and are using the PS3 for disc-based gaming and streaming video/Blu-ray then the SSD model will suit you. As the PS3 officially comes to retirement, this latest update proves one thing very clearly, in console terms: life begins at seven. Buy one now, and we're pretty sure you'll still be having fun with it in three years' time. And so doing will also mean you'll miss the expensive bun-fight likely when the new console launches. But don't tell Sony we said that.